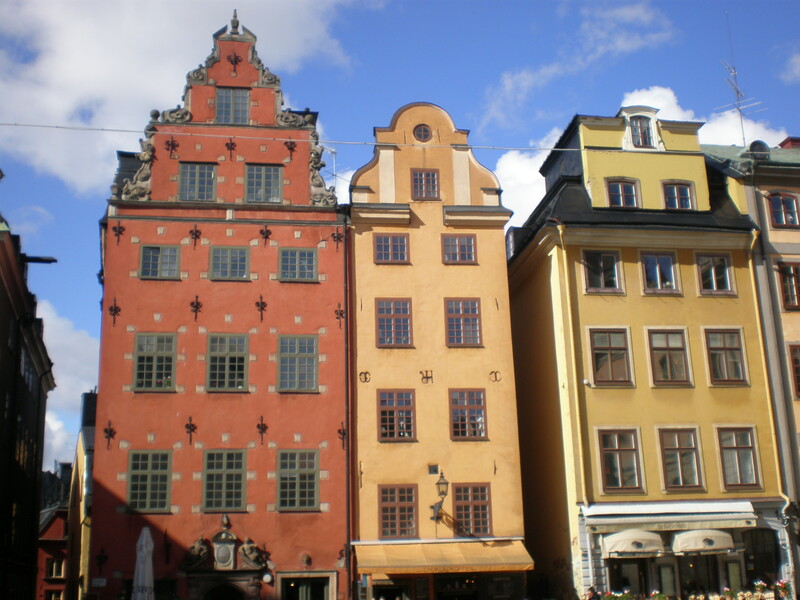 These pretty houses are in the Old Town (Gamla Stan) of Stockholm. It was a cold April day when we explored cobbled alleys of beautiful Gamla Stan. I’m just sorry that I couldn’t convince my husband to do a boat tour of Stockholm’s canals but perhaps it really was a bit too cold for that (it even snowed for a while the next day!). We walked a lot, visited a couple of museums (including the magnificent Vasa museum) and had expensive meals not because we went to some fine dining restaurants but because Stockholm is pretty expensive. Nevertheless, I fell in love with Stockholm. It needs to be visited again:) To read more about my last year’s weekend trip to Stockholm check here and here. The first port of call on a cloudy Sunday morning in Stockholm was Vasa museum on Djurgården island. My husband and I strolled all around Gamla Stan (the Old Town) the previous day so we decided to use the underground today. 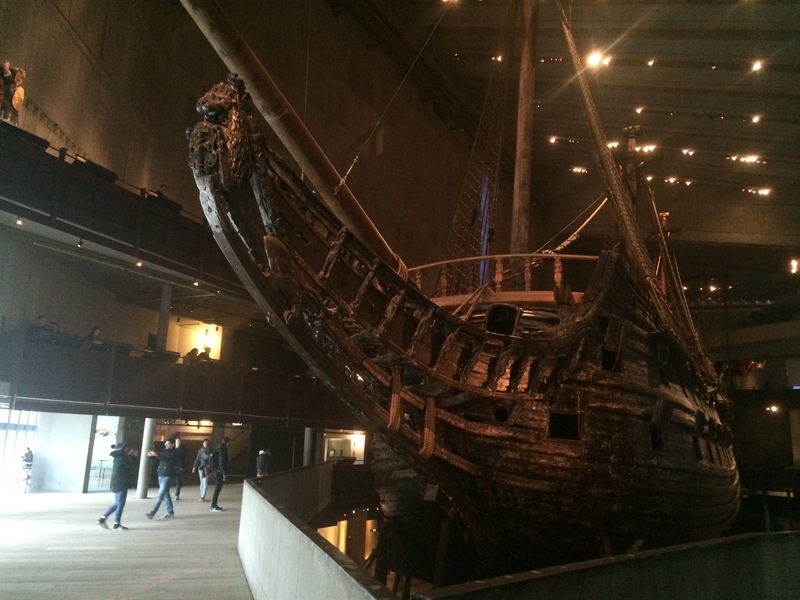 You can read all about our visit to Vasa museum famous for its historical warship in a separate post. Djurgården island is a peaceful retreat in Stockholm where you can find several museums, an amusement park and plenty of green space for a lovely picnic in the summer. Unfortunately, despite being April it wasn’t warm for such activities and it even started to rain heavily. Luckily, just about when my husband finally finished with all the exhibits in Vasa museum the rain stopped and we walked back towards the underground station. 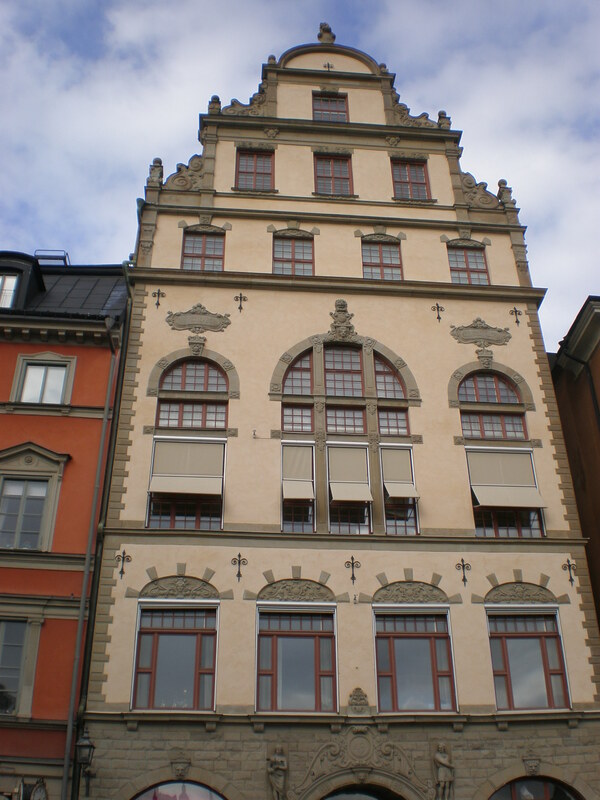 The next item on my to-do Stockholm list for Sunday was the Swedish History Museum on the way to Karlaplan station. It’s got free admission and it was a great place to spend a few hours on a rainy day (yes, it started to rain again). What were the highlights of this museum for me? Firstly, the Gold room on the lower floor which contains 52 kilos of gold and over 200 kilos of silver in the form of jewelry, religious objects, crowns and other things from different periods. Impressive, right? Secondly, I really liked the Viking exhibition on the ground floor. I am a big fan of Vikings series. At the very entrance of the Viking room I read how Vikings were perceived differently through different historical periods (and political situations). The concern today is that current portrayals of Vikings as only cruel warriors (TV, video games etc.) might leave a confusing legacy to the future generations. The museum displays Viking weapons, clothes, tools, model ships and an interesting model of a Viking village. It is a very fascinating and informative exhibition. Thirdly, I enjoyed the exhibition A thousand years of Swedish history. It’s got a lot of interactive elements. I especially enjoyed sniffing through a small cupboard to guess which spices were brought to Sweden. I didn’t guess them all:) I also did an interesting quiz to see if I was a witch ( after all I do have a cat!). Also, this was the first museum that I’ve visited where I saw a trail through various exhibitions with the comments of LGBTQ community offering their perspective on various historical events. The museum also has exhibitions on Prehistory and Medieval life and art. I preferred this museum to the Vasa museum, to be honest. If you follow my blog or just occasionally read my posts you know that I’m totally crazy about London. As it happened just three weeks before my 11th trip to London my husband and I spent a weekend in Stockholm, Sweden. Because I was creating my to-do list for my solo trip to London I didn’t really spend a lot of time on planning our Stockholm trip. Also, I didn’t want to over-plan our stay since we literally had just a bit more than 48h to enjoy Stockholm. Our plane landed on Friday evening and we had our return flight on Monday morning (this April). On the drive from Skavsta airport to Stockholm we got to admire the Swedish landscape: forests and lakes and colourful wooden houses. 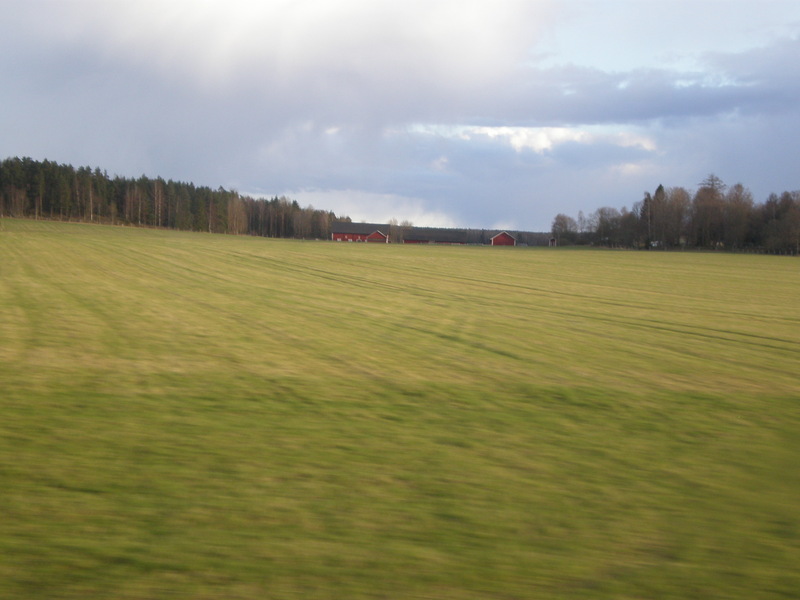 The scenery resembled our drive from the airport to Oslo center two years ago. Our trip to Oslo influenced this trip because when I researched briefly Stockholm sights I found a lot of similar things/museums as in Oslo and I didn’t really want to do the same things twice (e.g we visited the Norwegian Folk museum in Oslo so I didn’t see the point in visiting a similar museum in Stockholm). On Saturday morning we had a big breakfast so that we could explore Stockholm on foot. The sun was shining and the temperature was around 6°C. 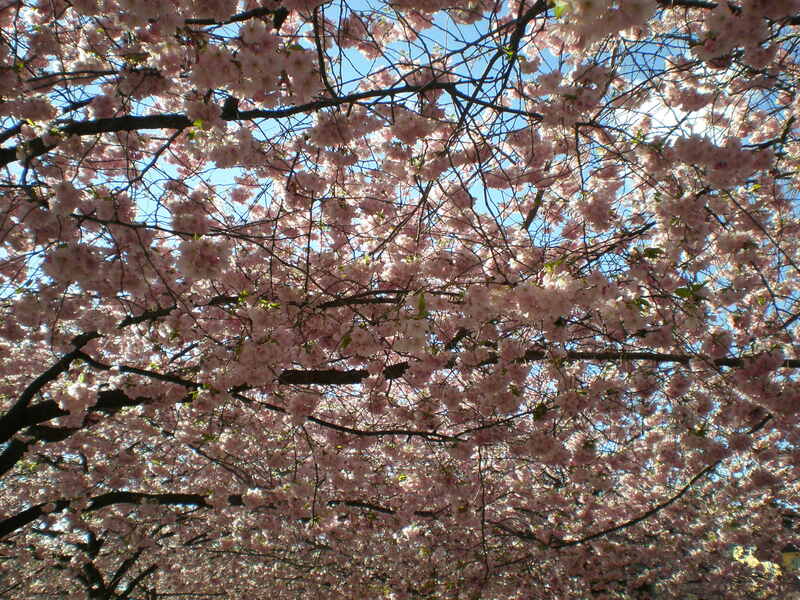 We walked straight to the Central metro station and then turned left towards the Kungstradgarden which was in full bloom. I decided to follow more or less the suggested walk from a Lonely Planet guidebook to explore the Old Town (Gamla Stan) and a few other islands. We passed by a nice church and reached the water. Stockholm is built on 14 islands connected by 57 bridges. So, yes any comparison with Amsterdam or Venice is valid. I was confused all the time whether I was standing by the lake or the sea or the river because Stockholm was founded at Lake Mälaren’s freshwater outflow to the Baltic Sea. Stockholm is an old city. 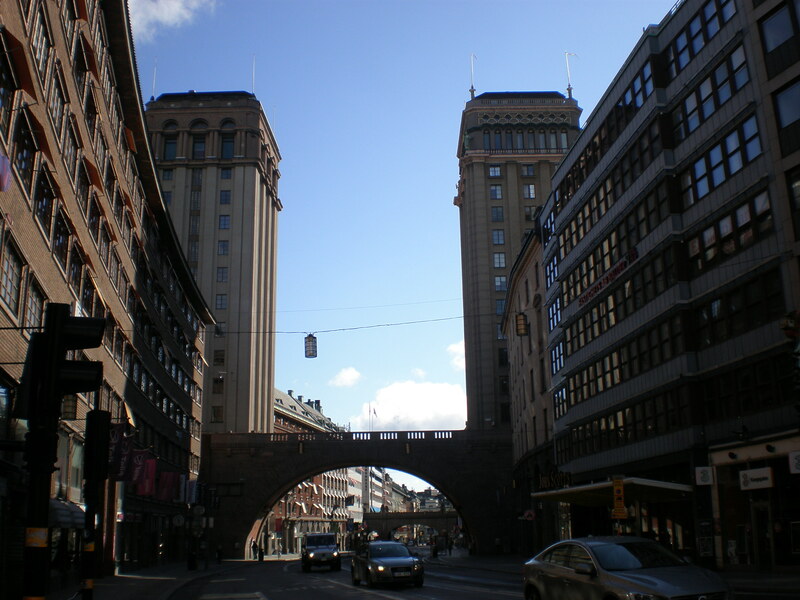 Its beginnings date from the 13 century when Birger Jarl, the city’s official founder built a castle. 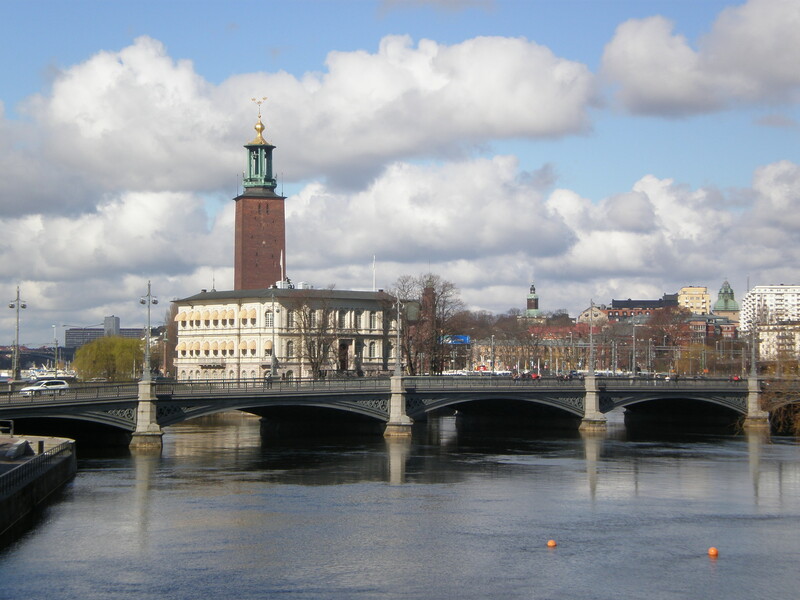 The name of the city Stockholm could be translated as a tree-trunk islet. 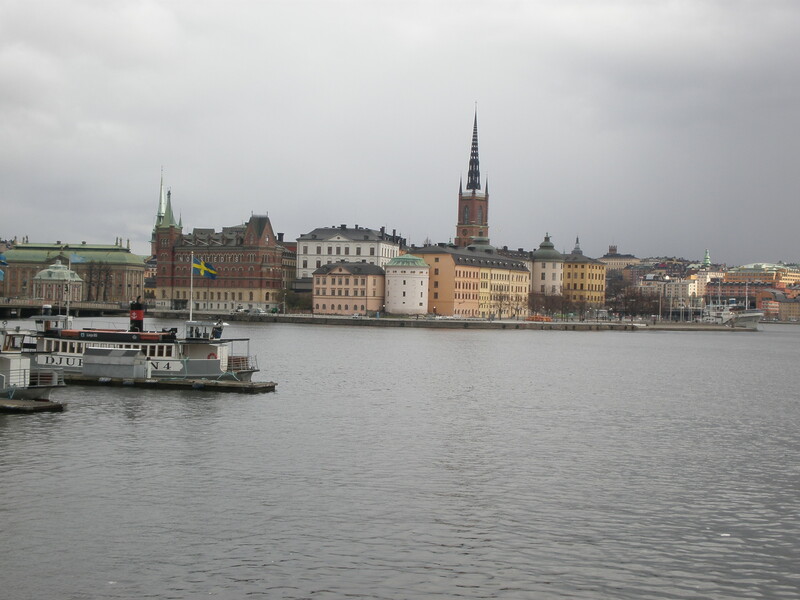 My main focus was to wander around the Old Town (Gamla Stan) spanning over several small islands. Imagine a huge historical warship lifted from its watery grave where it has laid for 300 years. And now imagine a museum that houses that ship. You think that could only exist in your imagination? No, such a museum actually exists and that is Vasa museum in Stockholm, Sweden. It’s definitely one of a kind museum and as such it’s apparently one of the most visited tourist attractions in Sweden. On our second day in Stockholm (in April) my husband and I decided to visit several museums including the Vasa Museum named after the ship it houses. I was a bit reluctant to visit it since you have to pay for the entrance (130 SEK) and because I didn’t think that I could get impressed by another ship museum after I’d been to the Viking ship museum in Oslo which was awesome. 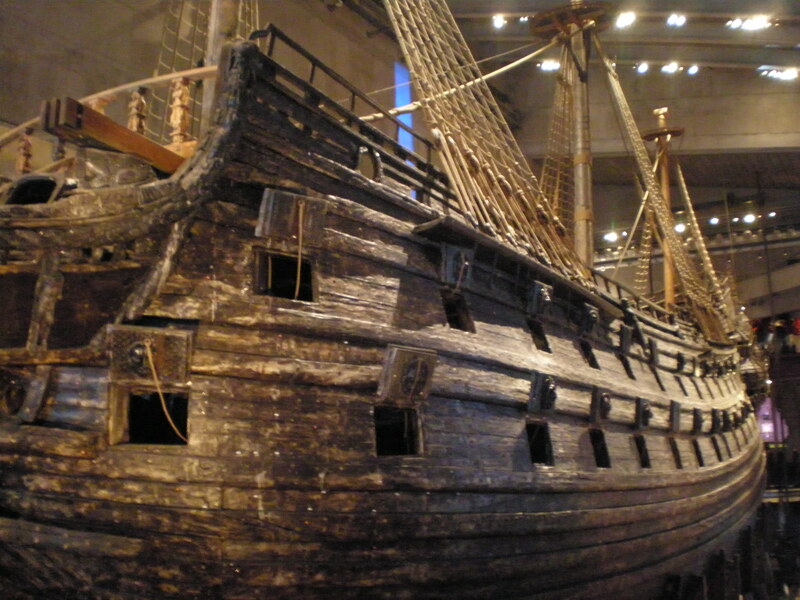 Vasa museum is situated on Djurgården island where you can find several other interesting museums (e.g Skansen open air museum and Nordiska museet) as well as an amusement park (Gröna Lund ) and plenty of green space to relax. We took the underground from our hotel and changed twice to reach the Karlaplan station from where we walked for about 10 minutes to the Vasa museum. 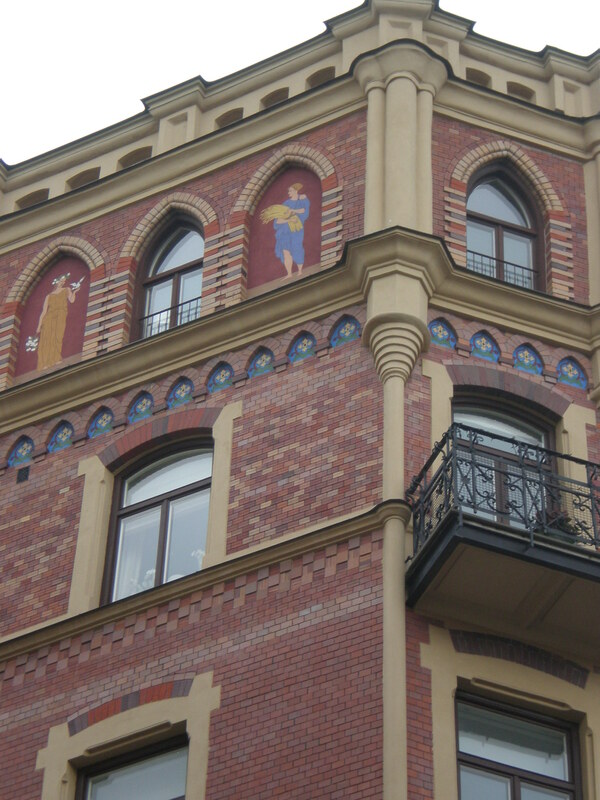 We walked past several beautiful houses with art nouveau details. First impressions: After you’ve entered the Vasa Museum you find yourself right in front of a huge warship and you look up to its mast and can’t believe how tall and huge that ship is and how tiny you are in comparison. You can download for free the museum app and walk around while listening to the guide on your phone. My husband did just that while I just wandered around. It’s been a month of travel for me: a short weekend break to Stockholm, Sweden with my husband followed by a trip to London on my own and then another business trip to the South of France last week. It sounds great but honestly I just feel exhausted now. Not because of all the travelling I did but because of all the work that I’ve been doing lately. 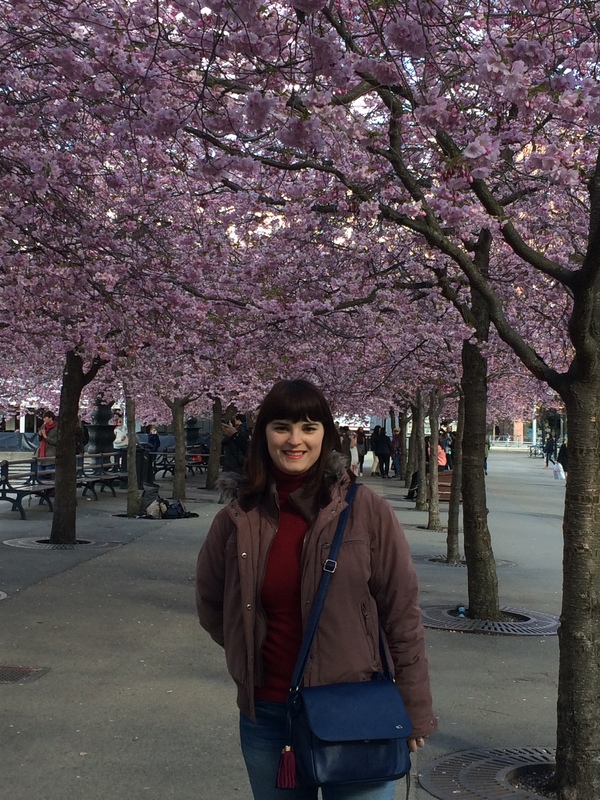 And I still haven’t written much about my travels (especially about Stockholm). So, when I saw the new topic for June’s Travel Link Up I didn’t really know whether I’ll have the time or the energy to write anything but since I really like the topic I decided to give it a try. What makes a place unexpected? Our expectations, scenery, people or something else; it’s hard to say really. I rarely go somewhere without the exhaustive preparations which include hours spent online (and offline:guidebooks) reading about the sights/landmarks/interesting things to do and to see in a city/country. But sometimes I don’t have enough time to do my usual travel preparations or I just book something almost on a whim and decide not to explore the place too much before the actual trip which usually results in being pleasantly surprised by such a place. So what places have surprised me lately?The most recent city that I’ve found to be extraordinarily beautiful is Stockholm. My husband and I arrived on a Friday evening (in April) and left on a Monday morning so in reality we only had 48 h to see Stockholm. That’s why I didn’t want to over-plan our stay and I’ve decided to focus mostly on the Old Town (Gamla Stan) and to visit a few museums. Anyway, I was very pleasantly surprised by Stockholm since I really didn’t expect to like it so much.